It’s been a bumpy ride between Empire’s mainstream artist Magasco and Newbellmusic boss Jovi. 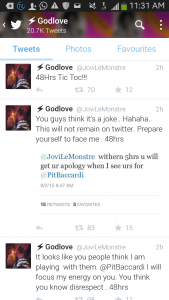 Just a day after the proliferation of news on social media about his production of Akon’s new opus “Shine your light” , Jovi has been exchanging jabs on Twitter with Magasco asking him to tender a video apology within 48hrs. 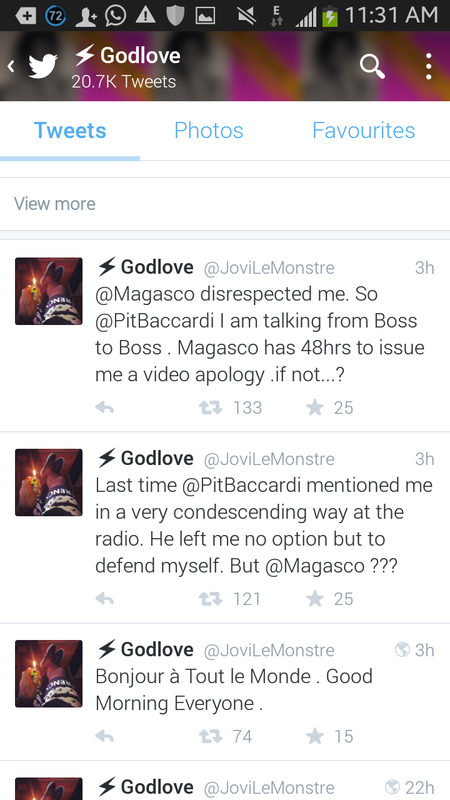 Jovi seems to be exasperated at Magasco’s disrespect him. But we are not clear what went wrong. 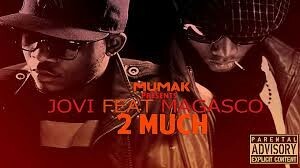 Magasco , former band mate with Jovi collaborated on “2 much” and “Lineloba remix” under Mumak imprint when both were gliding to glory . Their relationship has dwindled since both parted ways. 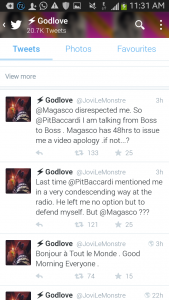 Following words uttered by Magasco on Twitter , Jovi has disrespected his Empire Company boss Pit Bacardi and he’s equally asking him to apologize as soon as possible. 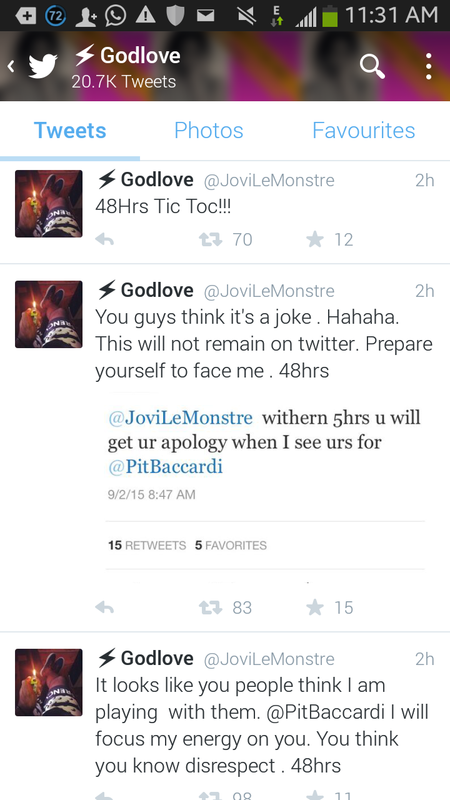 The feud keeps steaming on Social media leaving fans and music pundits in doubts. Stay glued for updates.